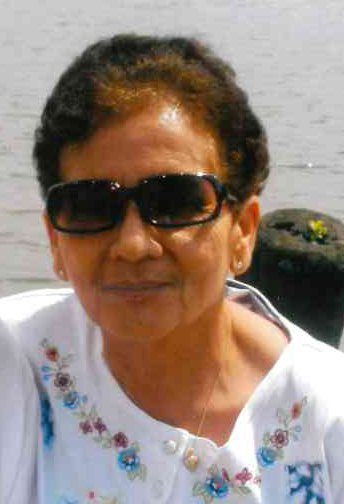 Ana C. Ortiz of Kiamesha Lake, NY, a homemaker and a long time area resident, passed away Thursday, January 24, 2019 at the Sullivan County Adult Care Center, Liberty, NY. She was 83. The daughter of the late Carlos and Juana Del Valle Ortiz, she was born March 26, 1935 in Humacao, Puerto Rico. Survivors include her daughter, Nancy Hidalgo and her husband Gilbert of Kiamesha Lake, NY; two grandchildren, Misael Hidalgo and his wife Stephanie Gonzalez and Eunice Hidalgo; one great granddaughter, Adelia; one sister, Ceclia Ortiz and her husband Hector D. Maysonet; and her niece and nephews, Hector D., Jr., Wanda I., Hector R., Enid Janet, Elsa Barreiro and Francesca Ramos. She was predeceased by her husband, Ernesto Pabón; and one brother, Carlos Otriz. Visitation will be Sunday, January 27, 2019 from 4 to 7 PM in the Harris Funeral Home, West St. at Buckley, Liberty, NY. Funeral services will be Monday, January 28, 2019 at 10 AM at the Calvary Church, 10 Prince Street (parking on Pelton Street), Monticello, NY. Burial will be in Glen Wild Cemetery, Glen Wild, NY.